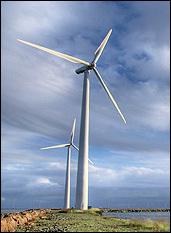 How is MSE working with alternative energy technologies? Coal sustained the Industrial Revolution. Petroleum fueled economies and politics in the 20th century. What energy source will define the 21st century? The answer to this question will be determined largely by discoveries made in materials science research groups. Materials scientists are working on solutions to the hottest challenges in alternative energy technologies, including solar, wind, nuclear, and hydrothermal. Engineered materials are the key to making these technologies possible, economically viable, and widespread. 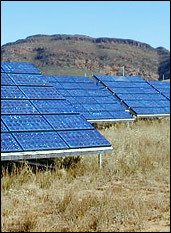 Solar cells use a combination of semiconductors to produce electricity from sunlight. 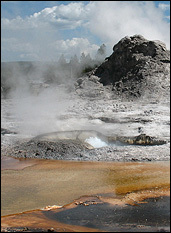 Thermoelectric generators use a combination of semiconductors to produce electricity from heat. 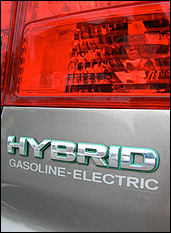 Fuel cells need ceramic ion-conductors and metal catalysts to produce electricity from hydrogen. 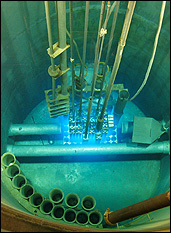 Nuclear fusion reactors of the future will require the superheating of hydrogen gas into plasma. Materials scientists who specialize in plasma-matter interactions will be needed to help design reactors capable of withstanding the heat and protecting the plasma from contamination. Some energy-generation technologies can be miniaturized using nanotechnology, allowing us to build more effective mobile power sources for devices ranging from consumer electronics to field gear for soldiers and scientist, and even tiny autonomous surveillance cameras that can fly like an insect or crawl into tight places. Looking to buy an electric car? Or a hydrogen powered car? Battery technology is advancing thanks to new materials that can store electrical charge at higher densities, giving them a longer lifespan because they can be rechared more times, and hold their charges longer as they age. Similarly, new materials for hydrogen storage may one day supply cars with sufficient amounts of hydrogen fuel without a high risk of explosion. How is MSE at UMD Reshaping Energy? Find out what researchers throughout the university are doing to improve alternative energy, energy policy and economics, and energy education. Covers the fundamentals including batteries, fuel cells, conducting polymers, inorganics, liquid and solid electrolytes, and plasticizers and binders.